January 19, 2018 JaDonnia B.Leave a Comment on How Much ‘Quality’ Time Do Fathers Spend With Their Children? How Much ‘Quality’ Time Do Fathers Spend With Their Children? According to a report from Pew Research Center, fathers say that they don’t spend enough time with their children even though U.S. fathers today are spending more time caring for their children than they did a half-century ago. Still, most (63%) say they spend too little time with their kids and a much smaller share (36%) say they spend the right amount of time with them. 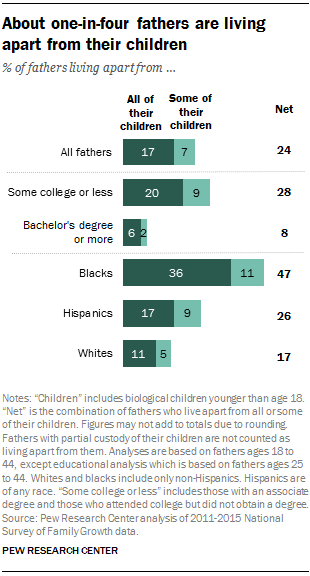 Roughly 6 in 10 fathers say their time spent away from their children is, in large part due to work obligations. Mothers, by comparison, still do more of the child care and are more likely than dads to say they are satisfied with the amount of time they spend with their kids. About half (53%) say this, while only 35% say they spend too little time with their children. Are they the parents who are ‘smothering’ their children, without allowing their child independent time away from them? There is a fine line, however, between too little time and too much time. The balance is quite unique to each parent-child relationship. Yet one must wonder whether the ‘optimal’ parent-child relationship is defined by the amount rather than the quality of the time. Thus, all of the concerns surrounding ‘time’ spent with children is of decreased significance, and should not be dependent upon that factor alone in order that parents feel satisfied about their children’s attachment to or love for them. Ultimately, parents want to feel, with a degree of certainty, that their children get the message that they are loved no matter the amount of time spent with them. Education is not a factor when it comes to the share of mothers who say they spend too little time with their children, but employment status is a factor. 43% of full-time working moms say they don’t spend enough time with their kids, compared with 28% of moms who work part time or who are not employed outside of the home. This report was generated from survey data, Fall, 2017, and thus gathered via self-reports. It sheds some light on factors which influence parental satisfaction regarding time spent with their children. In addition to the data, we must dare mindfulness that ‘time'[quantitatively] spent with children does not necessarily constitute ‘quality’ time whereby attachment bonds are nurtured. If the relationship can be characterized as positive, healthy and supportive, what’s important is that the love is unconditional, and not contingent upon any external criteria. 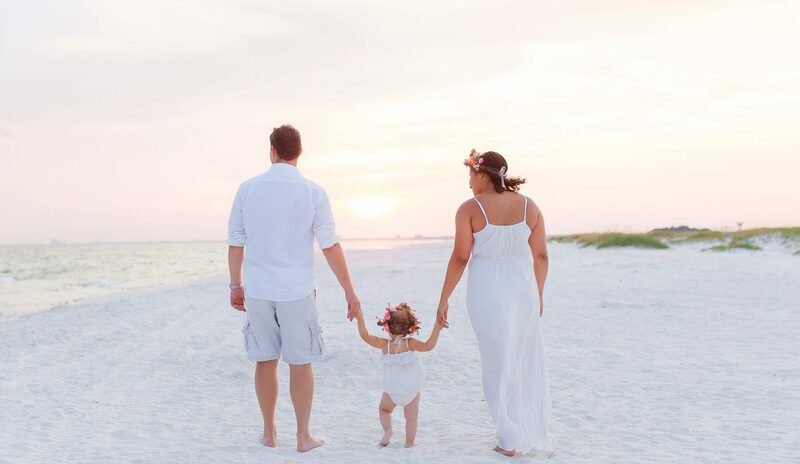 The relationship between the parents should not determine the amount of time each one has to be with their child, respecting custodial arrangements. These variables were not explored in this research, but remain relevant to the topic. Are kids’ needs being met during the time that they spend with a parent? Whether time spent together with a child is 1 hour a week or 24 hours a day, neither is indicative of the lack or presence of a healthy parent-child relationship. It isn’t the amount of time spent with children that demonstrates love, and affirms them. Instead, it is about how you spend time with children that matters most. Making every moment count is the overall objective…in the best interest of the child[-ren]!